The King of Games (Game King), or the King of Duelists (Duel King) in the Japanese version, is a title awarded to winners of such tournaments as Duelist Kingdom, Battle City, KC Grand Prix, Fortune Cup, World Duel Carnival, and Friendship Cup. It is also awarded as a title for some of the best Duelists in the world. The title is equivalent to World Champion in the anime. The first mention of King of Games is by Maximillion Pegasus in the second anime series second episode. After hearing that Seto Kaiba, the Duel Monsters Champion of Japan (World Champion in the English version), was defeated by Yugi Muto, he decided to test Yugi's skills personally by Dueling him. Pegasus won a timed Duel by having more Life Points than Yugi when time was up, but was impressed by Yugi's skills enough to invite him to participate in his Duelist Kingdom tournament. The tournament was an event where all the best Duelists in the world would compete for the title of King of Games, a title that would signify the strongest Duelist in the world. The next mention of the title is during the Duelist Kingdom finals. Pegasus gives a speech to the four finalists, Yugi, Joey Wheeler, Mai Valentine, and Bandit Keith Howard, explaining that the winner of the tournament would receive 3,000,000 yen (dollars in the English version) with the Glory of the King's Hand card given to each participant invited to the tournament or the chance to Duel Pegasus himself with The Glory of the King's Opposite Hand. In the event that one of them defeated him, in addition to getting any wish within Pegasus' power to grant, would also be granted the title of King of Games. The title would recognize the winner as the number one Duelist in the world. When Yugi defeated Pegasus in the finals, he received the title. In an attempt to obtain all three Egyptian God Cards, Seto Kaiba created his own Duel Monsters tournament, Battle City. The second purpose was to give Kaiba a chance to defeat his rival Yugi and obtain the status of King of Games himself. This purpose is omitted to Kaiba just wanting to defeat Yugi and any mention of Duel King is cut out in the English version. When Yugi won the Battle City tournament, he consequently defended his title. During the Waking the Dragons arc, when Kaiba found out that Yugi was defeated by Rafael, one of the Three Swordsmen, he became infuriated. He berated Yugi and told him that the title of King no longer had meaning to him until Yugi regained it back from Rafael. Once Yugi defeated Rafael in a rematch, Kaiba believed that the title did have meaning to him again since the title is now his rival's once again. Kaiba hosts another tournament, the KC Grand Prix, in an attempt to restore his company's name after the events of Waking the Dragons arc. In order to ensure that the best Duelists in the world would enter the tournament, he invited Yugi, Joey Wheeler and Rebecca Hawkins to compete. The reason for inviting Yugi was simple, more people would be willing to participate if they had a chance to Duel against the King of Games and win the title for themselves. As the King of Games, Yugi would only have to Duel once; in the Championship Round to Duel the winner of the tournament and the right to defend his title. Yugi ended up Dueling against Leon von Schroeder, a member of a rival business family to the Kaiba family. The Duel was used as a means to destroy the KaibaCorp with a virus by Leon's elder brother, Zigfried. Yugi stopped the virus from spreading while Kaiba destroyed it, then won the Duel, and successfully defended his title again. The title is not mentioned again in the Japanese version of the second series, however it is mentioned in the English version during the Ceremonial Battle. After Kaiba witnessed Yugi defeat all three God cards in one turn (which Kaiba admitted that he could not do), he officially recognized Yugi, rather than Yami Yugi, as the true King of Games. 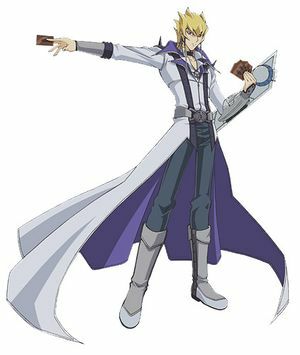 Duel Academy's current top duelist: Jaden Yuki. Yugi still retains the title in Yu-Gi-Oh! GX and has become an icon because of his many Dueling feats. Many Duelists such as Jaden Yuki and Chazz Princeton hope to claim the title for themselves and defeat Yugi. Chazz's goal is somewhat forced upon him by his elder brothers. They see the title as their family conquering the Dueling world. Jaden mentions his desire to become King of Games and defeat Yugi as early as the second episode of the series. However in the later seasons of GX, Jaden's desire to be King of Games is not mentioned much. Jaden receives the honor of being Duel Academy's top duelist by Zane in his graduation match. He did get a chance to Duel Yugi in the final episode of series, when the present Yugi sends him back in time to Duel the Yugi of the past (before Yami left), but the outcome is never shown. He does, however promise to become a much stronger Duelist. By Yu-Gi-Oh! 5D's (which is set after an unknown large amount of years after GX), Jack Atlas holds the title. It is interesting to note that in the English version, Jack is only mentioned as Turbo Dueling champion, and not the King of Games. It is unknown how or when Jack obtained the title, but by the first episode of 5D's, he is praised as reigning King and has never been defeated. The title has made Jack arrogant and he considers himself the King of New Domino City. He even goes as far as to refer to himself as the King (this is not present in English version, in which Jack is just arrogant and calls himself the champion). When the main character, Yusei Fudo escapes the Satellite, he finds Jack waiting for him. Jack attempts to give Yusei back "Stardust Dragon", the card he had stolen from him, but Yusei refuses to take it unless he wins it in a Duel. The two have a Turbo Duel, which is ultimately interrupted by the Crimson Dragon. Later, Jack discovers that before the Crimson Dragon showed up, Yusei activated "Meteor Stream", a card that would have won him the Duel. Jack becomes furious that he not only lost, but he also felt he could no longer call himself the King. Rex Goodwin hosts the Fortune Cup, a Duel Monsters tournament meant to reveal the Signers. The winner of the tournament would be given the chance to Duel Jack and claim his title the King of Games. The final Duel was between Yusei and Jack, each had their own reasons for Dueling. Jack wanted the chance to defeat Yusei and prove to himself that he was the true King. Yusei on the other hand wanted to band the Signers together in order to fight of those who were attempting to control them (such as Goodwin and Sayer). In the end, Yusei won the Duel and was bestowed the title of King of Games. Unlike with Jack, Yusei does not mention the title much. Yusei does not Duel in title matches as Jack did when he was King. However, in the second season of 5D's, there are some sponsors and teams that wish for Yusei to ride and Duel for them in the World Racing Grand Prix because he won the Fortune Cup and/or his title. In Yu-Gi-Oh! ZEXAL, the title is not mentioned. However, a different one (known as the "Dueling Champion") is, being awarded to the winner of the World Duel Carnival. Yuma Tsukumo is shown to be interested in obtaining it the same way Jaden was interested in the King of Games title. It is likely that both are the same title, but it has not been confirmed. 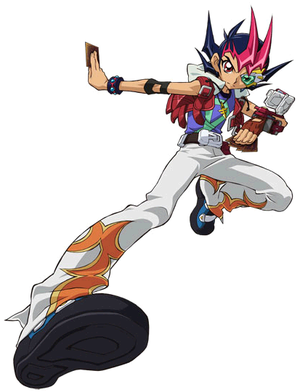 Regardless, Yuma won the WDC and is currently the Dueling Champion. In Yu-Gi-Oh! 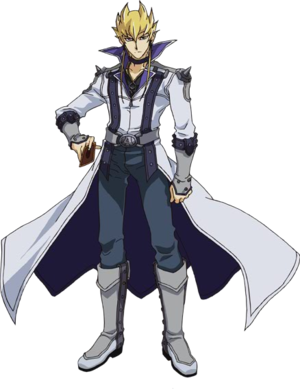 ARC-V, an alternate universe version of Jack Atlas residing in the Synchro Dimension is said to have won the title of Duel King after winning the Friendship Cup. Initially a native of Commons, winning the tournament also allowed Jack to live in Topsiders. The title itself and the Friendship Cup were created by the High Council in order to soothe the relations between the Commons and the Topsiders after the arrest of popular Duelist Chojiro Tokumatsu. Jack held the title for three years before the Lancers arrived in the Synchro Dimension. He Dueled three times in the tournament as opposed to the usual two; in an exhibition match against Yuya Sakaki, in the semi-finals match against Sergey Volkov, replacing the disqualified Yugo, and against Yuya again in the finals. Yuya was able to defeat Jack and Jack subsequently passed the title to Yuya. How a Duelist obtains the title of King of Games is largely unknown. Pegasus created the title and rewarded it to Yugi when the latter defeated him in Duelist Kingdom. However Kaiba also claimed that the winner of his Battle City would be awarded the title despite the current holder being Yugi. It could be speculated that Kaiba took into consideration that Yugi would participate and give up or defend his title, but Kaiba never contacted either Pegasus or Yugi for the right to award the title of Duel King. It is unknown if Yugi would have lost his title by not participating in Battle City or if he lost a Duel would he lose the title. When Yugi won Battle City, Kaiba much like Pegasus awarded Yugi the title. In the KC Grand Prix Mokuba invited Yugi to the tournament on the behalf of his brother and asked him to defend his title for their tournament. In this instance the Kaiba brothers had to ask Yugi to participate in order to award the title of King of Games, which only further confuses things. In GX Yugi is still known as the King, but he is not mentioned in being in the Pro League, a league for professional and high ranking Duelists to compete with each other. The Pro League has its own champion which is apparently separate from the King of Games title. Aster's legal guardian, the D was the reigning Champion of the Pro League before his death, while Yugi was the reigning King of Games in the same time period. Some Duelists such as Kaiba and Jack feel that the King must be undefeated in order to retain his or her title. Kaiba considered the title meaningless when he found out Yugi had been defeated by Rafael. Kaiba probably meant that even if he did defeat Yugi he himself would not be the true King since Yugi was already defeated. Once Yami defeated Rafael in a rematch he seemed to have changed his mind (probably due to feeling that Yugi reclaimed his title by winning). Jack questioned himself on being the true King when Yusei defeated him in an unofficial match, but to the rest of the world and Goodwin, Jack was still the King of Games/Duelists. During his reign as the King, Jack Atlas participated in many title matches. He had to defend his title from many would be challengers. This was a clear cut way of how to obtain the title. 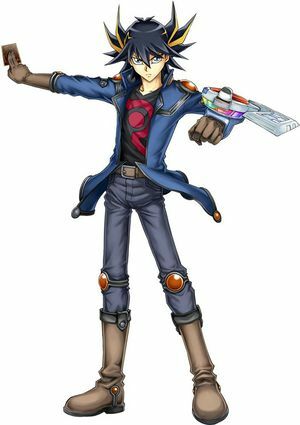 Yusei defeated Jack in the Fortune Cup and won the title for himself, but has not participated in a Duel with his title on the line. It is unknown if Yusei would lose his title were he to lose a Duel, or if he must participate in a title Duel to do so. Despite Yusei's participation in the WRGP, it was not mentioned as to whether or not the Duelist who managed to defeat Yusei would obtain the title. In fact the tournament seems to ignore the title altogether, with the winners being recognized as Turbo Dueling Champions. The determination of Duel King in ARC-V so far seems to be only chosen through the Friendship Cup, awarded to the winner of the Cup if they defeat the current Duel King. The King themselves only Duels a selected participant in an exhibition match and the winner of the 16 contestants. Yugi Muto won the title when he defeated Maximillion Pegasus in Duelist Kingdom. Yusei Fudo won the title by defeating Jack Atlas in the Fortune Cup. Yuya Sakaki won the title after defeating Jack Atlas in the Friendship Cup. Ironically, this means that only the protagonists who had no interest in the title have won it. It has never been confirmed whether or not Jaden Yuki ever won the title. Jaden and Yuma are the only protagonists (so far) to show an interest in the title. When Pegasus mentioned the Duel King title to Yugi to entice him into joining Duelist Kingdom, he turned him down. This forced Pegasus to steal Yugi's grandfather's soul to make him compete. Yugi may have won the title, but it was never his desire. Yusei never showed an interest in becoming King. He only wanted to settle the score with Jack and, like Yugi with his grandfather, was coerced to enter a tournament to ensure his friends' safety. 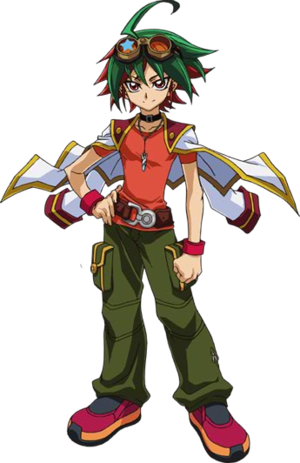 Yuya initially had no desire to become King, but had to obtain the title after realizing it would allow him to compel the citizenry of New Domino City to cooperate with the Lancers' counter-offensive against Duel Academy. The protagonist's rivals from the first three series have all desired to become the Duel King. Seto Kaiba and Chazz Princeton never achieved their goals while Jack Atlas held the title, but lost it to Yusei. This makes Jack the only rival to have actually held the title of Duel King, in addition to his Synchro Dimension counterpart. However, subsequent rivals Kite Tenjo and Declan Akaba have shown no interest in such a title. This page was last edited on 9 August 2017, at 01:16.